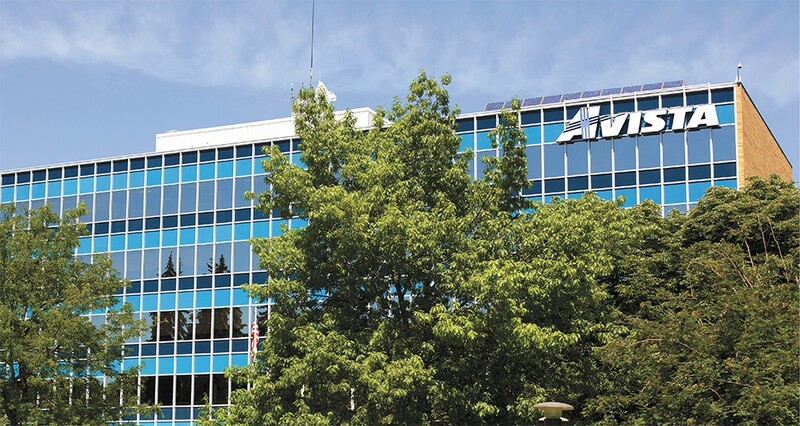 Avista's headquarters would stay in Spokane under a proposed merger. Perhaps the strangest thing about the proposed merger between Avista and Canadian utility Hydro One is that when this all started, Avista wasn't really for sale. To hear Avista CEO Scott Morris tell it, the company is and has been strong. That's why for years Morris has gotten calls from other utilities wanting to scoop up the smaller Northwest company in what's been a continually consolidating North American energy market. But the answer had always been no. Still, he says, it was worth looking at how Avista was positioned. "When I started with the company in 1981, there were probably well over 100 investor-owned utilities in the market," Morris says. "When I came back to serve as president in 2000, there were probably 75. Today there's 50." Avista is 46th in size among those 50, he says. "We have a very large service territory, lots of space, but not so many customers. We're very rural," Morris says. "That certainly isn't a reason to do anything, but it's a contextual piece." As calls kept coming in, the company decided to look at the possibilities, considering that it's a seller's market. "From a shareholder perspective, we know that we can get a very nice premium for our shareholders, but it wasn't really about that," Morris says. "It was about being a 129-year-old utility. Was there an ability to find a partner who would not just meet shareholder needs, but absolutely meet the underlying need that our customers, our community and our employees had as much of a win?" So Avista compiled a list of about 100 non-negotiables, things like maintaining the headquarters in Spokane, continuing its philanthropy in the Northwest and maintaining current Avista employees and the reliability of service. If a company called and was comfortable with all the things on that list, they could talk. Enter Hydro One, one of the companies started by the Ontario government in 1999 when it split up a century-old entity that had controlled virtually all elements of the electric grid in the province to that point. In 2015, the province decided to turn the company public, planning to sell up to 60 percent of its shares to help pay down provincial debts. Ontario currently holds 47 percent of the company. Hydro One first expressed an interest in Avista in February 2017, and by March, when Morris got a call from Hydro One's then-CEO Mayo Schmidt, Morris learned Hydro One was willing to work with those non-negotiables. "The magic of this was Mayo and Hydro One said, 'We agree with all that. That's the type of company we are and want to be,'" Morris says. Even so, Morris knew Avista would face skepticism from people used to having a regional company power their homes and businesses. People like Don Brockett, a former Spokane County prosecutor, have raised pointed concerns about the deal. "What benefit is this sale to the citizens of the state of Washington? What do we gain by selling to a company in Canada?" Brockett asks. "I'm surprised more business people haven't come in and said, 'Wait a minute, this ought to be for the benefit of the ratepayers.'" If the two companies combine, they'd become one of the largest investor-owned utilities in North America. 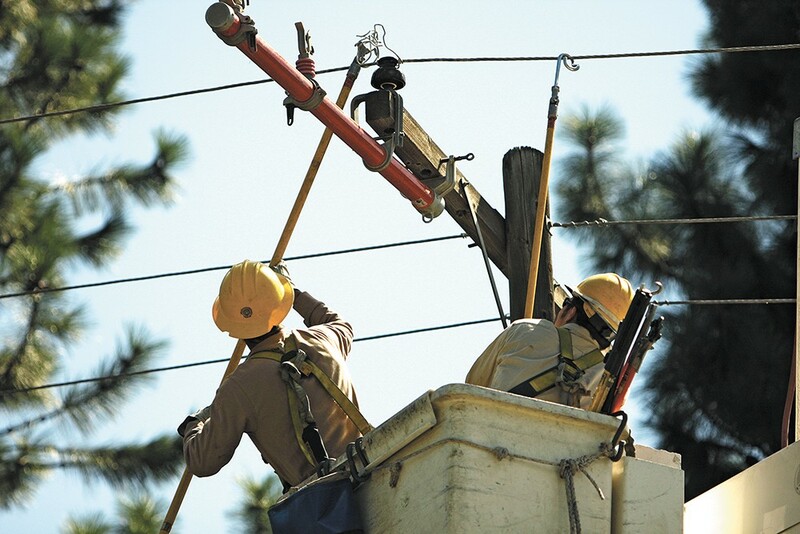 Unlike many mergers, which find cost savings by combining administrative functions and eliminating redundant positions, this merger would protect existing jobs at Avista. So the major benefits might be seen in creating greater buying power, as the companies could get better deals on supplies bought in larger bulk, Morris says, noting that Hydro One keeps up almost the entire system of power lines and poles in Ontario. Ideally the two would also share best practices for things like metering and power generation. Importantly, Morris says, he didn't want the deal to protect Avista customers for only three or five years, like many company-merger agreements. He wanted the protections to be as permanent as they could be. Hydro One maintains nearly all the transmission lines in Ontario. By July 2017, the two companies reached a $5.3 billion agreement and started the process of filing stipulations with regulatory commissions in each of the five states Avista operates in. That's important, because including those elements of the deal in each public file means those protections couldn't be changed in the future without getting permission, Morris says. "None of those can be changed unless we get approval from the utility commission," Morris says. "That was vital to us." The commissions also have to sign off for the merger to happen, as they protect the best interests of customers. Almost immediately after the merger was announced in summer 2017, concerns started pouring in from customers. Would Avista customers' bills go up to support Hydro One's shakier finances? What does it mean when a foreign company owns your utility provider? Why make a deal if Avista is already strong? Over the next several months, testimony was heard at each state commission, and thousands of pages of documents and comments were filed. Alaska and Montana's commissions signed off on the deal on June 4 and July 10, respectively. But before the merger could close with permission from Washington, Idaho and Oregon, one of the major hypothetical concerns — could Ontario flex its controlling influence over Hydro One and, therefore, Avista? — played out in real time. On July 11, newly elected Ontario Premier Doug Ford, whose late brother Rob Ford gained notoriety as the crack-smoking mayor of Toronto, fulfilled his campaign promise to overhaul Hydro One. The company's CEO and entire board announced that day that they'd step down. Ford has also said he wants to lower Hydro One rates, which have in some cases more than doubled in the last decade. One could argue that Ford didn't technically fire anyone. Instead CEO Schmidt and the board opted to resign to avoid what could have been a drawn-out process, according to lawyers and leaders at both utilities, who had to explain in a late-October hearing why the Washington utilities commission shouldn't be concerned. The July move not only offered a blow to Hydro One's stock prices and credit rating, it also highlighted the uncertainties that remain, even with "governance agreements" in place that are supposed to determine how each company will be run. "What faith should this commission have that the other terms of the governance agreement would be upheld in the future if we approve this merger?" Washington Utilities and Transportation Commission member Ann Rendahl asked during the October grilling held in Olympia. The question came in the middle of what turned into a more than three-hour under-oath hearing, as the three-member commission and an adjudicating judge peppered Avista and Hydro One leaders with questions. "In looking at the current situation, which I fully appreciate is very unsettling, that it happened, and how it happened is unsettling to the people at Hydro One as well," starts Hydro One's Chief Legal Officer James Scarlett. "But I would like to emphasize that when you stand back and look at this, the governance agreement in fact worked. It did constrain the government's activity. The government did not pass legislation removing or putting a whole new board in." But the argument that the terms of the agreement kept Ontario from passing legislation to influence the company didn't fly with Judge Dennis Moss, who oversaw the day's proceedings. "Well, it didn't have to pass legislation, did it?" Moss asked. "They had a compliant board of directors that said, 'We'll go along with what you want to do.'" Now the decision on whether to approve the merger is left to the commissions in Washington, Idaho and Oregon, with another on-the-record questioning of the companies set for Nov. 26 in Idaho. The companies hope the merger will be approved by a Dec. 14 target date. In the meantime, Avista customers continue to seek answers to pressing questions about the deal, including how they'll be protected from rate increases, what it means to have a local monopolistic utility controlled by a foreign government, and how clean-energy goals translate across the border. HOW MUCH WOULD IT COST CUSTOMERS? The biggest looming question for Avista customers is: Will rates go up if this deal goes through? Utility rates need to be approved by the state utility commissions, so Hydro One couldn't just come in and raise rates however it wants. Hydro One notes, "Avista and Hydro One customer rates will not be impacted by any of the costs associated with the transaction. The local state commissions will continue to set the rates Avista customers pay for their energy." As part of the proposal, Hydro One will own 100 percent of Avista through a series of shell companies meant to insulate both parties from financial issues. Essentially, the structure, called "ring-fencing," is designed to protect Avista and its customers from a Hydro One bankruptcy or financial weaknesses, explains Casey Fielder, an Avista spokeswoman. Part of the deal that will be most noticeable to Avista customers is a five-year rate credit; for the average user in each state, that translates to a savings of about $1.38 a month for electric and gas customers in Idaho and about $1.27 per month for Washington customers. "A rate credit is just sprinkles on ice cream, that's all that is." But critics point out there isn't anything in the deal that would necessarily prevent Hydro One from asking for higher rates, regardless of the credits it's prepared to hand out in the beginning. That's a major concern for Angelo Lonzisero, who lives in Sandpoint. Although he isn't an Avista customer, he's worked with others who are to form Avista Customer Group, which opposes the merger. "We're not totally against Avista being sold to someone — that's not the problem," Lonzisero says. "The problem is we want to be secure that we're not going to get eviscerated down the road with rates we can't pay, foreign ownership and things happening we don't want to happen." While Avista and Hydro One point to the rate credits as a sign of good faith, Lonzisero questions what real protection Avista ratepayers have in the long term. "A rate credit is just sprinkles on ice cream, that's all that is," Lonzisero says. "They come to about a dollar and change per month, per customer. That doesn't preclude [Hydro One] from going in immediately as soon as the merger is done with a new rate case, and looking for rate increases. They don't tell people that." In filings with Idaho's Public Utility Commission, Norm Semanko, attorney for Avista Customer Group, points to another merger Hydro One wanted to make in Ontario that was denied by the Ontario Energy Board earlier this year. The board's reasoning was that even with promises for lower rates over the first decade for Orillia Power customers, concerned citizens in that case had pointed out that there were significant rate increases proposed for other companies that Hydro One has already acquired. "The experience of the three acquired utilities in Hydro One's current distribution rates case is informative," the Ontario Energy Board's (OEB) April 2018 decision states. While Hydro One had highlighted the potential for cost savings in each of those acquisitions — to be achieved mostly through efficiencies of scale — the savings didn't appear to translate to customer bills after the initial couple of years with better rates, the Ontario board notes. Importantly, in those cases, the company may have been asking for higher rates than those customers would've seen without the mergers. "Hydro One has failed to make the case that the OEB can be assured that the underlying cost structures would be no greater than they would have been absent the acquisition," the decision states. "The OEB is therefore not satisfied that the no harm test has been met, and on this basis the application is denied." But Avista CEO Morris argues there are legal walls that would prevent Hydro One from charging Avista customers for anything other than costs to service them specifically. "When [utility commissions] decide whether or not we can raise rates, it's based on the expenses, the costs we spend in our service territory servicing our customers," Morris says. "There is a wall built up so there is no way legally they can allocate any of their costs to the customers in our states." RULED BY A FOREIGN GOVERNMENT? As was voiced during hearings after the Hydro One board was ousted, there are concerns that Avista will essentially be left to the whims of the Ontario provincial government, which exercises what amounts to a controlling minority share of Hydro One. If the merger is approved, Hydro One would in turn have control over selecting five of the nine members of the new independent Avista Board. Avista and Hydro One have assured regulators that Hydro One is free of Ontario government control. But that argument holds much less water after the board's ouster. "People would ask, 'What? It's still the Department of Motor Vehicles, what's different?' 'Well it's an independent company, there's a board.' 'Who elects the board?' 'Well, the governor,'" McCullough says, continuing the analogy. "'What about checks and balances?' 'Oh yeah, he's appointed another board that reviews what this board does.' At that point, as an American, you stop and say, 'This all seems a little rickety.'" When the "fiercely independent" Hydro One shifted course and started over with a new board, it wasn't anything unusual in comparison to other Canadian utilities, McCullough says, especially if you look at so-called "Crown corporations," which are controlled by provincial governments. While Hydro One isn't technically a Crown corporation, it still saw similar influence, because that's how the political structure in Canada works, McCullough says. "This is very common," McCullough says. "In Canada just this year, this has happened to a comparable organization in British Columbia, and now it's happening to one in Quebec." But that doesn't translate to the way things work here, he notes. The major thing U.S. customers have going for them is that regulatory agencies get the final say, both on the merger, and on ongoing things like proposed rate increases and building projects — something McCullough warns the provincial utilities may not be as accustomed to. Indeed, if other takeovers of Northwest utilities by foreign companies are an indication, the regulatory system in the U.S. will continue to protect customers here, so there isn't as much to worry about, he says. Scottish Power merged with PacifiCorp (aka Pacific Power/Rocky Mountain Power) in 2000, and a group of Canadian pension funds under Australia-based Macquarie Group invested in Puget Sound Energy (PSE) in 2009. Each time, the foreign companies made some odd moves, and each time, they backed out after a few years, with Scottish Power selling Pacificorp by 2006, and Macquarie announcing it wanted to sell its PSE stake in mid-2017. In August, PSE announced that the 44 percent stake would be picked up in chunks by more pension funds, including one out of Ontario. McCullough explains that, among the oddities that happened, Scottish Power came in promising to fix reliability issues, which left people scratching their heads because reliability hadn't really been an issue here, though it had been in Scotland, which is where the parroted talking points had come from. "As an American, you stop and say, 'This all seems a little rickety.'" With Macquarie, there's a proposal that's still under consideration to build a massive transmission line right through Bellevue, which PSE has claimed is needed to bring power to Canada. But to utility experts who know that Canada nearly always has surplus energy, that doesn't make any sense, he says. "We have yet to find out whether the people of Bellevue really need a line that size through town," McCullough says. "For those of us in the industry, the answer is almost certainly not." Then why would a utility propose building needless equipment? Because they can get a higher percent of return approved for it by the U.S. regulatory commissions, McCullough says. Thankfully, those commissions scrutinize each deal closely and can say no if they're unnecessary, he says. "Macquarie had never had to deal with a regulatory panel before, and neither did Scottish Power, so they would make proposals that would get turned down," McCullough says. "After two examples of exporting a foreign regulatory model to the Northwest, the answer is it's not working out great. ... The regulatory panels have been good." Maybe the largest benefit that Avista executives point to in the proposed deal is the fact Avista's headquarters and its philanthropic efforts would remain in Spokane. Under the deal, Hydro One will give an initial $7 million to Avista's foundation, with a commitment to keep adding to the pot by $2 million per year after that, and increasing the yearly philanthropy budget to spend $4 million per year, Morris says. 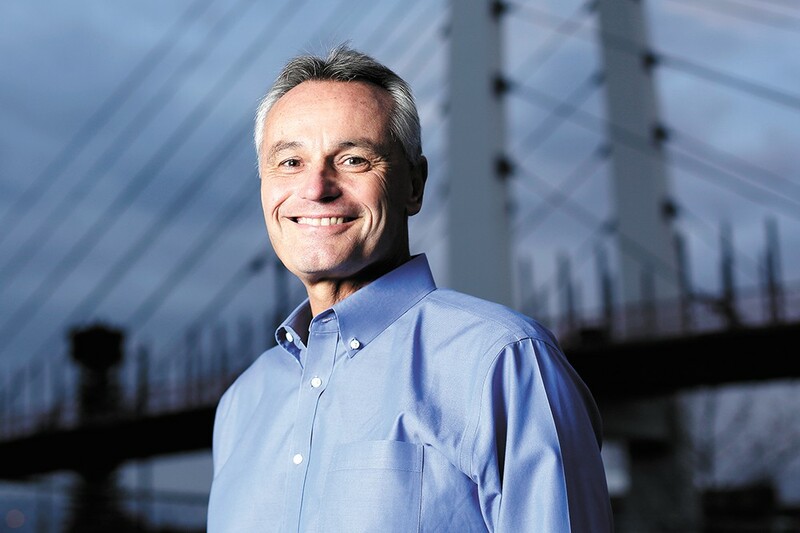 "We're one of the most philanthropic companies in the state of Washington," Morris says. "We needed to be able to continue to do those kind of things with the talented people we have." 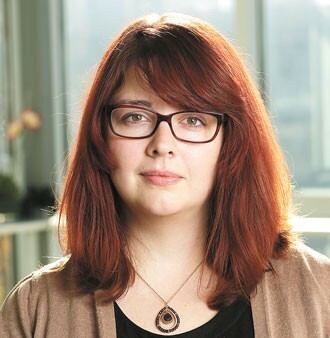 That includes continuing to invest in economic development, in the University District, and in projects like the Catalyst building, which will connect the University District to the city's revamp of East Sprague. "Those things are so fundamental to who we are, and important to the region," he says. The Sierra Club is betting that the days are numbered for the Colstrip coal plant, which Avista partially owns. Some customers question how much benefit they will see compared to Avista executives, who stand to be paid a great deal if the merger goes through. Morris alone would make nearly $6 million the day the sale goes through due to stock holdings, plus millions more in other benefits laid out in executive compensation documents that have existed since before the deal, including severance pay, according to filings with the Securities and Exchange Commission. Thirteen employee executives and directors, most of whom are separate from the board, stand to get more than $18 million between them the legal day the sale closes, due to payouts for long-term stock incentives they've been promised since well before the deal, says Karen Feltes, a senior vice president and chief human resource officer for Avista. "It's not an extra payout," Feltes says. "It's a payout that's due because the plan is closing and those individuals already hold those grants." Other compensation that was promised to executives long before the deal could also be triggered by the merger. Five executives stand to take in $14.5 million in compensation, months or longer after the sale. And another eight execs would potentially split $7.4 million, depending on whether certain changes happen. The compensation pieces have been criticized by concerned Avista customers, especially as the executive benefits split between about a dozen people over time are close to the five years' worth of rate credits shared by hundreds of thousands of Avista ratepayers. "The ratepayers of Avista demand that the commission do what is best for them and not what would enrich the shareholders or senior managers of the company," writes former Spokane County Prosecutor Brockett in his official comment to the Washington Utilities and Transportation Commission. "It is the duty of the commission, since the ratepayers are at the mercy of the monopolistic company, to assure that their interests are protected and that they not be taken advantage of because of some flawed business model established to reward a few over the many who must pay their energy rates." Specifically, when you work for a company that the public has no choice but to use, Brockett wonders why that should entitle someone to any more of a payment when it gets sold. "When you talk the fantastic amounts that'll be paid for the sale, the question obviously comes up, why are those deserved?" Brockett says in an interview. "When you sell a company, why are you entitled to some benefit like that when you've been paid well all along to develop the company?" Despite its name, Hydro One doesn't run any dams. As the Globe and Mail notes, hydro is a colloquial term in Ontario used to refer to electricity, even though much of their power comes from nuclear plants. The company instead runs nearly all transmission lines in the province, distributing power to more than 1.3 million customers. The company notes on its website that it maintains enough power lines to wrap around the Earth three times. The merger is set up so Avista will still be in charge of its dams and other power generation sources. "Avista and Hydro One have agreed through the terms of the transaction that Avista will continue to run the business and serve customers and communities as it always has, with local decision-making authority," says Jay Armitage, director of Hydro One Corporate Communications, by email, through a communications advisor. "Avista will continue to manage operations of the utility, including their infrastructure such as dams, transmission lines, distribution lines, and other parts of the electric and natural gas system." One of the main benefits the Sierra Club sees in the proposed merger has to do with Avista's stake in power generation at the coal plant in Colstrip, Montana. As part of the deal, Avista has agreed that it will depreciate its stake by 2027, meaning it will pay off its debts related to the plant before then, assuming the plant's usable life stops at that date. Avista has assured the Montana utilities commission that the 2027 date doesn't mean they plan to stop production at the coal plant by that date, and in the deal signed off on in that state, the town of Colstrip will get to manage $4.5 million that Hydro One will pony up to go toward things like job transition and other costs in the community related to the plant. "That's pretty significant, because it's clear Colstrip's going to be retiring fairly soon," says Doug Howell, who works with Sierra Club in Seattle. By paying off the debt sooner, rather than the later date that had been planned, the company will make sure ratepayers aren't stuck footing the bill for a plant they may not even be using, Howell says. That's Sierra Club's hope anyway — there will be more incentive to close it if it's paid off. "[Colstrip is] just going to hell in a handbasket at a super fast rate," Howell says. "This is just Avista protecting themselves. This is the minimum they need to do to make sure ratepayers don't get the shaft." The deal was originally supposed to be done by Sept. 30, 2018, but with the extra scrutiny by the remaining utility commissions, Avista and Hydro One extended that by six months to March 29, 2019. The original print version of this article was headlined "Shock Protection"